The Russian prosecution demanded eight years of imprisonment for the deputy head of the Mejlis of the Crimean Tatars Ahtem Chiyhoz, an LB.ua correspondent reports from Crimea. 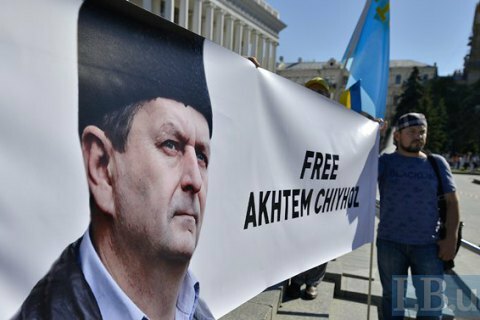 The prosecutor believes that the guilt of Chiygoz has been proven in full. Chiygoz is charged with the organization and participation in mass riots 26 February, 2014, protests took place near the building of the Crimean parliament in Simferopol. On 26 April, Russian Supreme Court of Crimea banned the Mejlis of the Crimean Tatars recognizing his an extremist organisation.